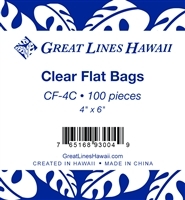 Clear Flat Zipper Bags - Bulk Pack - 100 bags. Each measuring approximately 3" x 5". Clear Flat Cello Bags. No Gussets. Bulk 100-count. Each measuring approximately 3" x 5" Clear Flat Zipper Bags - Bulk Pack - 100 bags. Each measuring approximately 5" x 7". Clear Flat Cello Bags. No Gussets. Bulk 100-count. 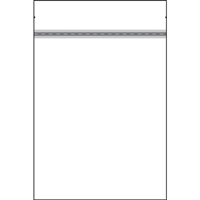 Each measuring approximately 4" x 6" Clear Flat Zipper Bags - Bulk Pack - 100 bags. Each measuring approximately 6" x 8". Whale Onesie - Self Sealing Treat Bags. 100 Food-Safe Bags with Self Adhesive flap. Clear Flat Zipper Bags - Bulk Pack - 100 bags. Each measuring approximately 8.5" x 12.5". Clear Front , Silver Inside, Gold Back. 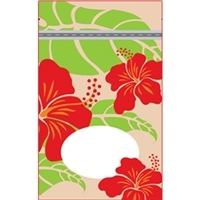 Stand Up Zipper Pouches - Bulk 100-count. 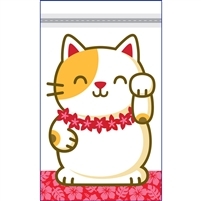 Each measuring approximately 3" x 5" with bottom gusset Lucky Cat Twosie Zip Bags. 100 Food-Safe Bags with Zipper top. Each bag measures approximately 4" wide x 6" tall, usable space. Designed to fit TWO ono-licious cookies, or any other little treats or gifts. Each measuring approximately 4" x 6.5". Clear Flat Zipper Bags - Bulk Pack - 100 bags. 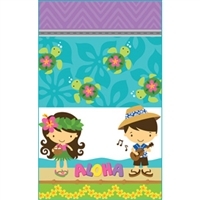 Each measuring approximately 10" x 15". Clear Flat Zipper Bags - Bulk Pack - 100 bags. Each measuring approximately 12"x 18". 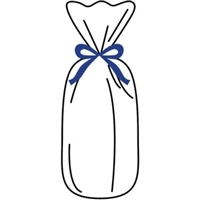 100 Clear cello treat bags measuring approximately 4" wide x 9" tall with 2.5" side gussets. Clear Large Stand Up Zipper Pouch 100 pouches. Approximately 6.5 x 10 x 3" Gold Medium Stand Up Zipper Pouch - Bulk 100-count 100 Clear cello treat bags measuring approximately 6" wide x 13.5" tall with 3.25" side gussets. 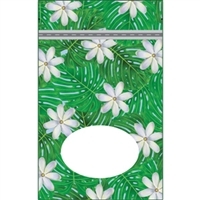 Tiare Garden Small Stand Up Zipper Pouch 100 pouches. 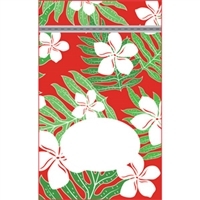 Approximately 5 x 8 x 3.1875" Laua`e Red Small Stand Up Zipper Pouch 100 pouches. Approximately 5 x 8 x 3.1875"
Clear front window. 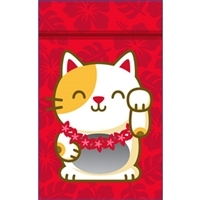 Lucky Cat Small Stand Up Zipper Pouch 100 pouches. Approximately 5 x 8 x 3.1875"